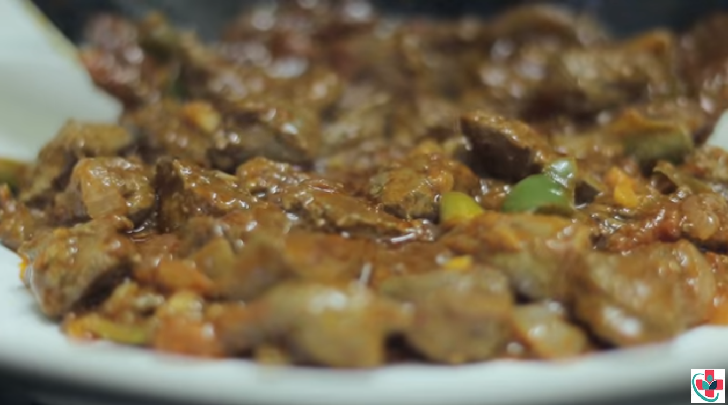 This recipe will turn liver haters into converts. Very simple! The three things that will set your liver above all others are: ➧ soak in milk, ➧ turn liver as little as possible and ➧ don't overcook! ➥2 blocks of beef cubes. Soak the liver in milk for 1 hr, this process softens the lives, after that disregard, the milk, In a pan melt the butter and fry the liver until brown. Remove and fry the onion, garlic until tender. Gradually add tomato, cubes, tomato paste, rasam powder, curry powder, chili n mixed herbs. Then add the liver in stir well, cover and let it cook for 15 minutes, adjust the seasoning.